Dover F.C. 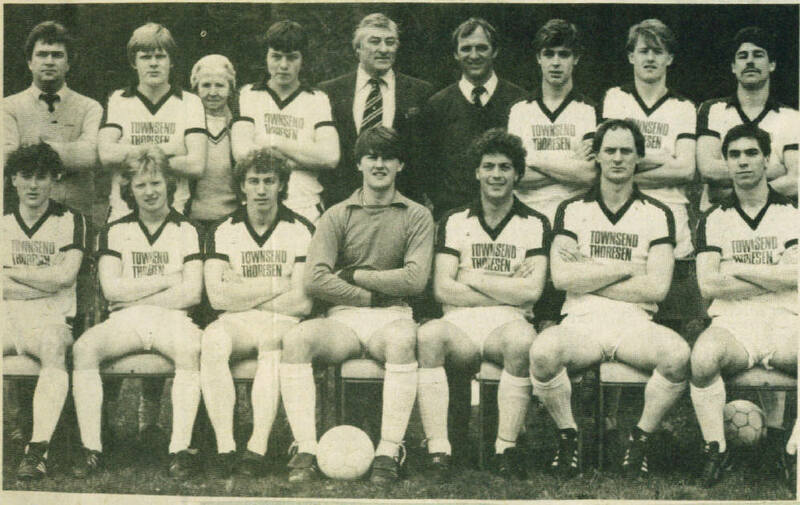 before the 1-1 draw with Canterbury City on 2nd.April 1983. Our goal was a penalty by Bobby Wilson. Back row: Terry Clear(Director), Simon Bartlett, Ann Abbott(Director), Paul Bagley, John Shearn(Chairman), Roy Hare(Manager), Adrian Fagg, Neil Scott, Les Hall. Front row: Ian Kuypers, Andy Young, Bobby Wilson, Joe Radford, Dave Linstrem, Dave Westgarth, Paul Keen.